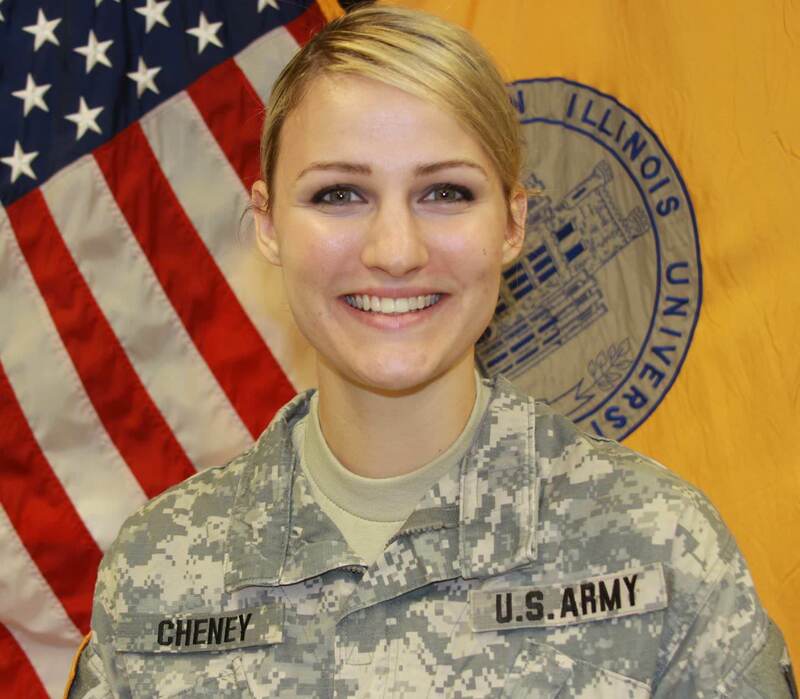 What made you decide to join the military and serve your country? It was when I was 9 years old (two years after 9/11). My Girl Scout troop had a float in the annual Christmas parade. While I was sitting on the back of the float waving out to the crowd, we passed by a marine in his dress uniform. He stood there, stoic and mesmerizing. Anyone that saw him knew immediately that he was a part of something important, honorable and respected. At that moment I knew that I wanted to serve my country in some capacity. What does it mean for you to serve in this way? I’ve always been a big patriot. You can’t replace the pride and sense of purpose that comes with serving your country. Just like Greek life and fraternity/sorority brothers and sisters, the Army becomes your family. Soldiers are no longer just soldiers, but family. You look out for each other. Serving in the Army has given me friends that have become family and a career that I find extremely rewarding and gives my life purpose. What have you learned from your Tri Delta membership that you’re able to apply in your service today? I 100 percent no kidding have this thought almost every morning, “Putting on this [uniform] doesn’t give you the right to feel superior to others, but it does give others the right to expect great things from you.” I remember the day I officially became a Tri Delta member and heard this for the first time. It’s a quote that has stayed with me through my collegiate years and into my Army career and alumnae years. I suppose you could call it my morning mantra. There were many influencing factors here for me. First, I am a fifth-generation military veteran. I can trace this back to my great-great-grandfather in the Civil War, great-grandfather in WWI, both grandfathers in WWII and the Korean War, dad and I in Operation Enduring Freedom and myself in Afghanistan. I wanted to be a part of and continue that proud tradition. Second, when I was 15, I started flying lessons for my private pilot’s license. I actually soloed in a Cessna 172-R before I could drive a car by myself! For a while, I wanted to be a pilot for the Air Force. Lastly, the Air Force paid for four years of private education at Southern Methodist University in Dallas, Texas, where I was a Tri Delta with Theta Kappa Chapter. I fell in love with the math and science of my mechanical engineering major and math minor, and ultimately became an engineer for the Air Force. I have been fortunate to serve in the Active Duty Air Force, Air Force Reserves and now the Air National Guard. 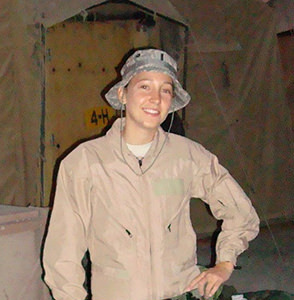 I am proud to be a fifth-generation military veteran and the first female to carry on such an honorable tradition in my family. While on my two deployments to the Middle East, my units played a critical role in supporting the quality of life for fellow airmen, sailors, soldiers and marines, and I led a humanitarian project in Bulgaria. To me, it’s all about assisting and contributing to a cause greater than myself with an incredible team. Tri Delta played a huge part in shaping me into the woman and leader I am today. I am still close to many of my sorority sisters, and I have met more through alumnae networks. I truly believe that I am a sum of all of the people that I’ve ever crossed paths with, and as a Tri Delta, I crossed paths with so many independent, strong and intelligent women. Tri Delta helped me solidify my moral values, and truly embrace the Air Force Core Values of “Integrity First, Service Before Self, and Excellence in All We Do.” My membership also taught me to appreciate diversity and how to work with so many different people from varying backgrounds, which has served me well in my military career. 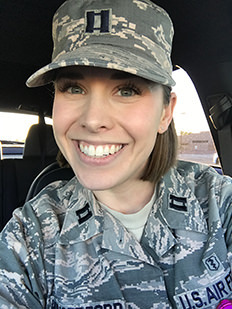 I decided to join the Air Force during medical school because I was interested in global health care and humanitarian medicine. I wanted the opportunity to travel the world while providing medical care. The military provides so many opportunities for me to pursue my dreams and opens doors to opportunities I didn’t know existed. I am proud to serve my country, and to be able to do what I love makes it even more fulfilling. I feel that I can genuinely give back to my country and my community by simply doing my job. Tri Delta made me truly appreciate being a part of something larger than myself. Part of the reason I was eager to join the military was for this continued sense of comradery and solidarity. Tri Delta taught me to genuinely appreciate what other people can teach you, which is a very valuable skill when dealing with people from different walks of life. Tri Delta also encouraged me to pursue leadership opportunities and taught me how to pursue positive change. I am so thankful that I was a part of Tri Delta, and I continue to use the lessons I learned. If you are a Tri Delta that is an active-duty personnel or veteran of the armed forces please let us know!